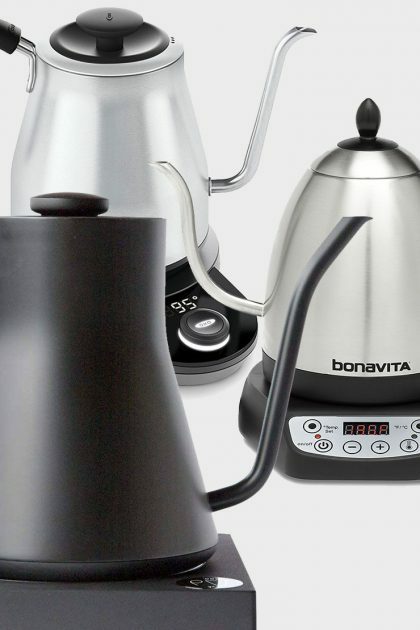 1/ I love Bodum products so I have two on here. The first is a double-wall glass with a metal strainer and a lid. 2/ The second is this double-wall glass with a woven filter. Comes in three colors. 3/ This porcelain mug, strainer and lid set can be personalized with a message. Pick from five different city illustrations including New York and Paris. 4/ Double-walled teacup with a special lid to keep loose leaf teas in the cup as you sip. 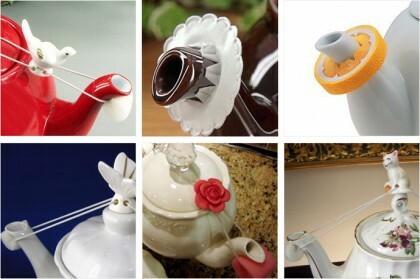 5/ All-in-one tea set with a built-in strainer. Comes in teal and fire red. 6/ Tilt the cup and pour hot water into the loose leaf tea pocket. Once brewed, tilt the cup to the other side.